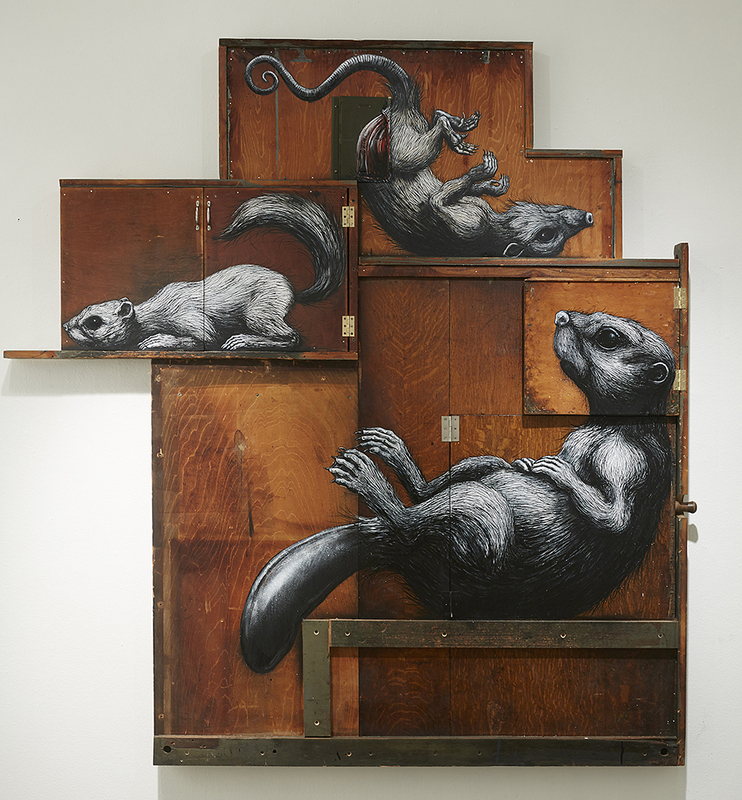 Our little country contains a few brilliant street artists and ROA is certainly one of them. 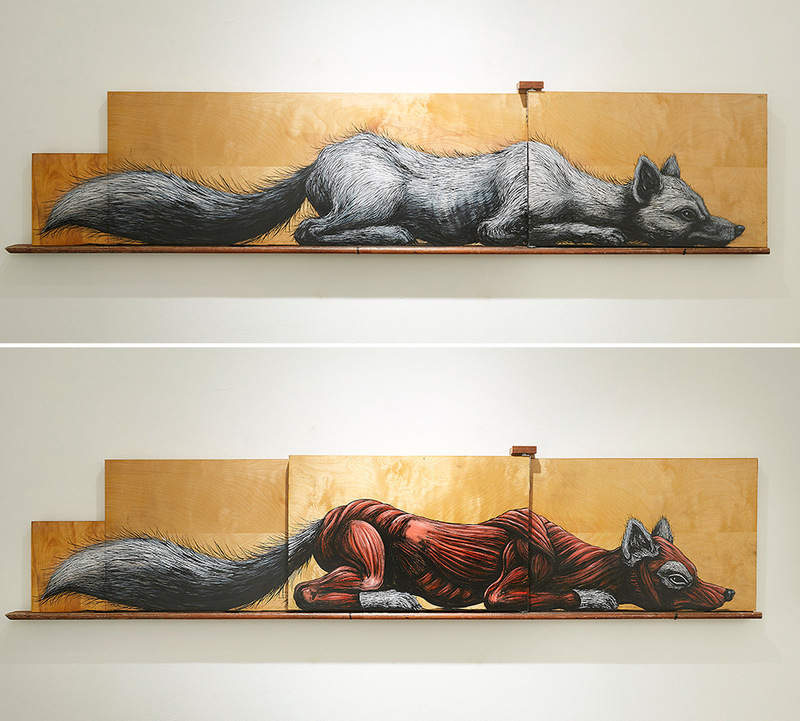 His signature black and white depictions of animals can be spotted all over the world. 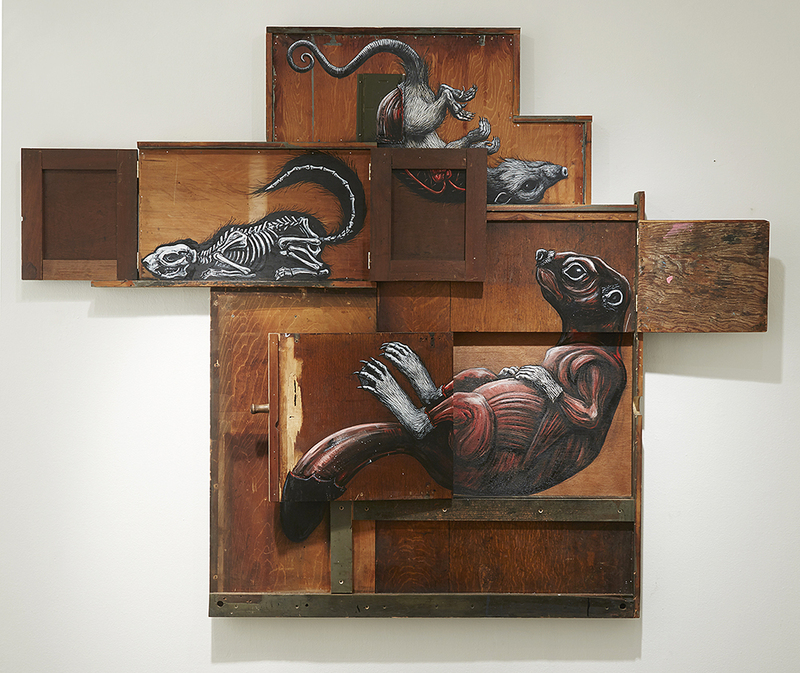 Last week he kicked off his first solo show at Jonathan LeVine Gallery in New York titled Metazoa. 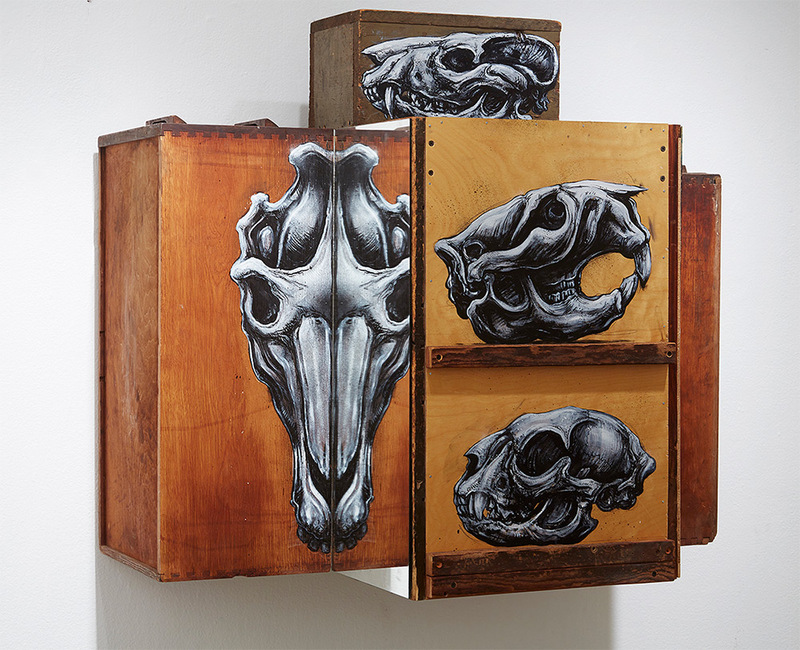 The new series of mixed media works feature the artist’s familiar portrayals of animals painted on various cabinet-like furniture pieces that can be opened or shifted to reveal anatomical details. Check out some pieces below and if you’re lucky enough to visit the Big Apple anytime soon make sure to go see the exhibition which runs until May 2.